Roasted chickpeas? YUM! Flavor this protein- and fiber-packed snack with almost any seasoning! 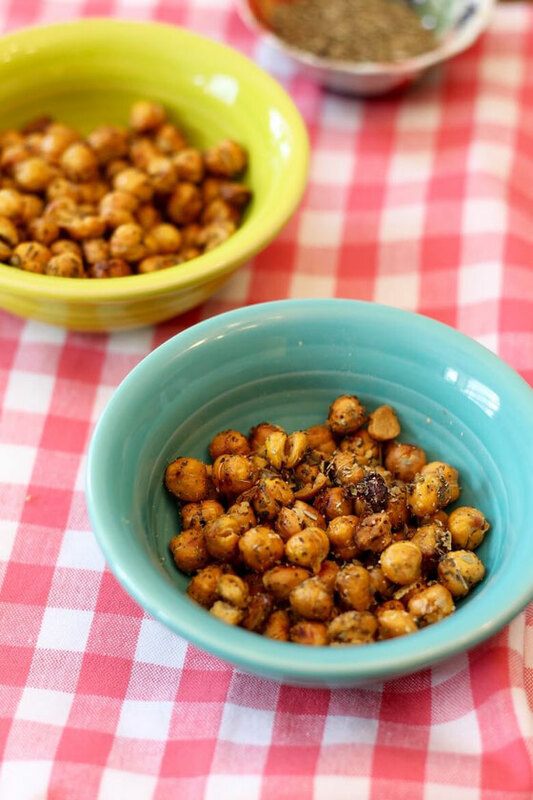 You'll love this chickpeas recipe. I've been wanting to roast my own chickpeas for a long time. So recently, I finally decided to take the plunge and do it. It took a few trials to get them perfect: To season before or after roasting? How much oil to use? But I finally got them exactly the way I wanted 'em. 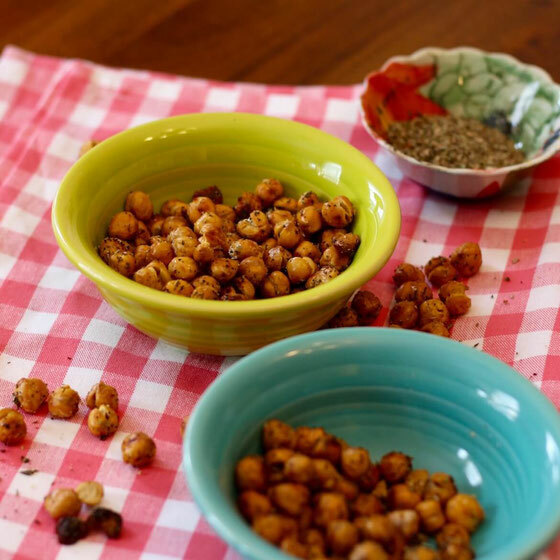 It turns out roasting chickpeas is pretty simple. It just takes a little patience. I got the best results when I dried the chickpeas before putting them in the oven and used minimum oil while roasting. Then, after they were all nice and crunchy, I sprayed them with a little oil and added some seasoning. This snack went pretty quickly in my house. So you may want to make a double batch! Love chickpeas? Give my hummus pizza recipe a try! Preheat oven to 425° F. Place paper towels on a nonstick cookie sheet; spread chickpeas on towels, and allow to dry for 1 hour. Remove towels from cookie sheet. Dry sheet, and coat with cooking spray. Spread chickpeas on tray, baking until crunchy, about 40-45 minutes. Toss every 10 minutes. 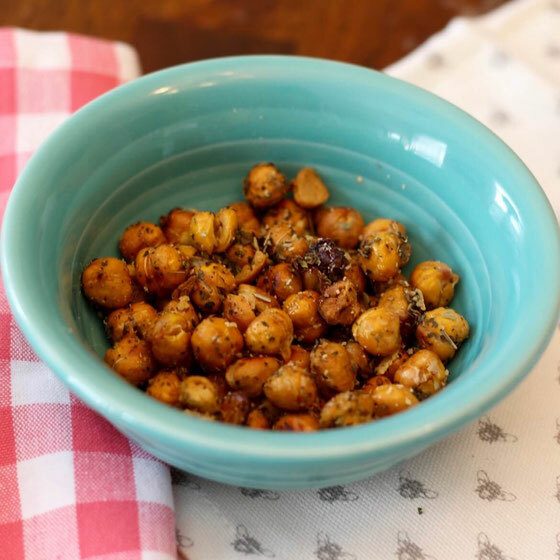 Place roasted chickpeas in a medium bowl. Coat with cooking spray, and toss with your seasoning of choice. Serves 4. *Recipe analyzed with Italian seasoning. What are your thoughts on this topic? 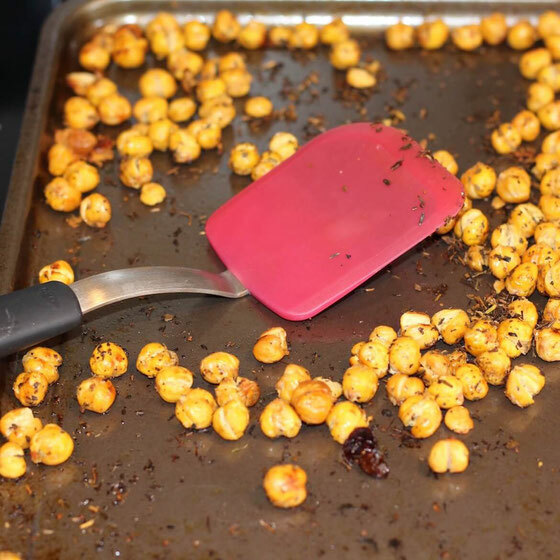 Have you ever made roasted chickpeas? What are your favorite seasonings?